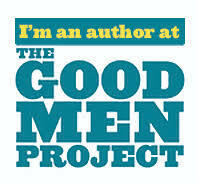 Last month we launched a new web video series at The Good Men Project. We call it Good Men Project Dreams: Conversations with Entrepreneurs. I am honored to host the series, and tremendously enjoying the opportunity to delve into the minds of energetic business leaders who make the daunting choice to go out on their own. I wanted to share the first three webisodes from the pilot. We recorded these initial segments on digital video at Cross Campus in Pasadena in front of a live audience, the weekly Meetup of Innovate Pasadena. Our goal is to capture the heart of the entrepreneurial mission in a series of short interviews with local entrepreneurs who want to change the world. Our desire is to capture the spirit of the start-up mission among courageous, innovative business leaders who can’t see themselves doing anything else but their chosen enterprise. They see their businesses as more than economic engines. They see what they are doing as having critical impact on the world and opportunities for real progress. Technology, business models, talent, and workplace culture are driving the light speed change in today’s world. Entrepreneurs like these are leading the way toward change and progress. These interviews seek to get at the passion of why people chose to build something new, no matter the hurdles, and why embracing a dream is a MUST among their life choices. We hope you enjoy “GMP Dreams” and are inspired by these bright, brave, optimistic yet entrepreneurs. Their moxie is beautifully balanced by their pragmatism, and their focus is on doing some important with their lives much more than achieving personal wealth. They also are driven to create jobs and help drive our economy forward through innovation and creativity. Oh, and they also like to have fun! Please let us know what you think as we are honing the series in preparation for the next round of interviews. Join us in helping to change the world! This entry was posted in Business, Entrepreneurs, Innovation, Leadership, Startups and tagged Alan Mittelman, Aurora Cady, change the world, Cross Campus, Eagle Eyes, entrepreneurial mission, Entrepreneurs, GMP Dreams, Good Men Project, Innovate Pasadena, Promomash, WaitNot, Yuval Selik. Bookmark the permalink.